We started #SLAMsummer17 with some of our oldest and dearest churches, Paragould United Methodist Church (Arkansas) and Carmel United Methodist Church (Indiana), both of whom have become “SLAM regulars.” Thankfully though, repeated service does not mean predictable outcomes. We work hard to ensure that SLAM doesn’t get stale, with that work being rooted in prayer for SLAM to be a place where God’s spirit can move anew in the hearts of young people. 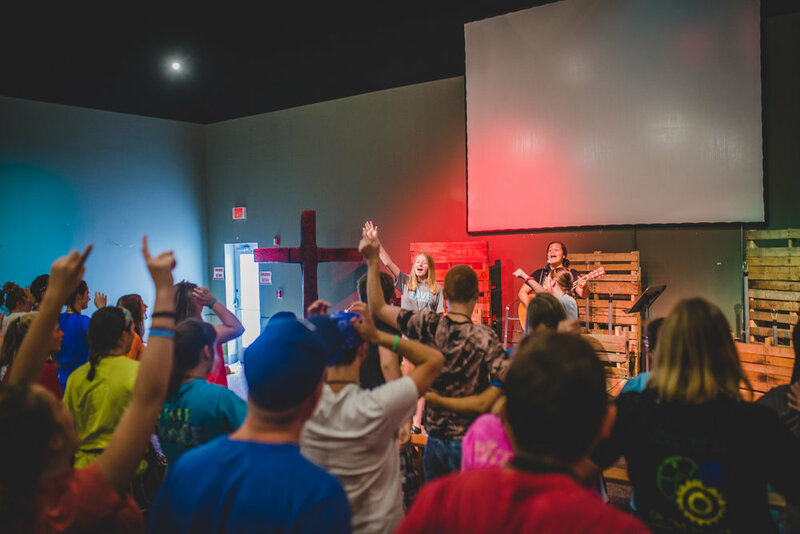 When that readiness on our end is met by churches and groups with the same desire, the outcome is a powerful experience for young people engaging the Lord, with a ripple effect that affects the generations. 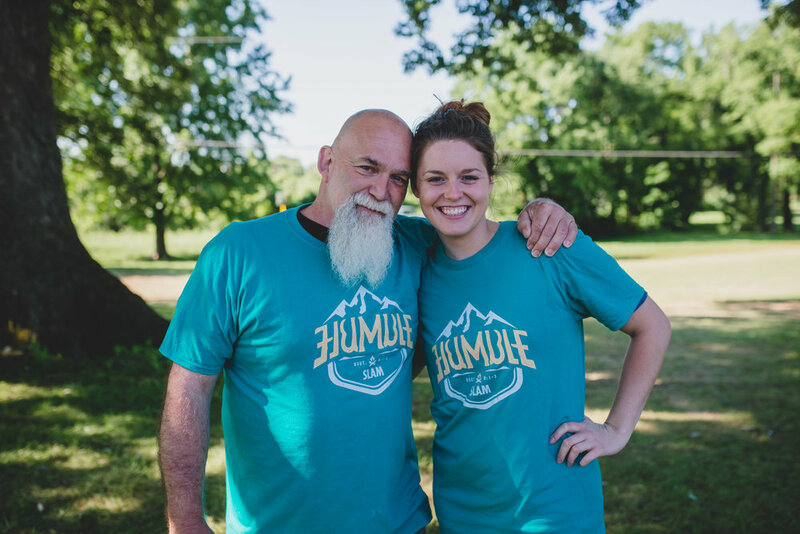 Our theme this summer is Humble, coming from Deuteronomy 8. 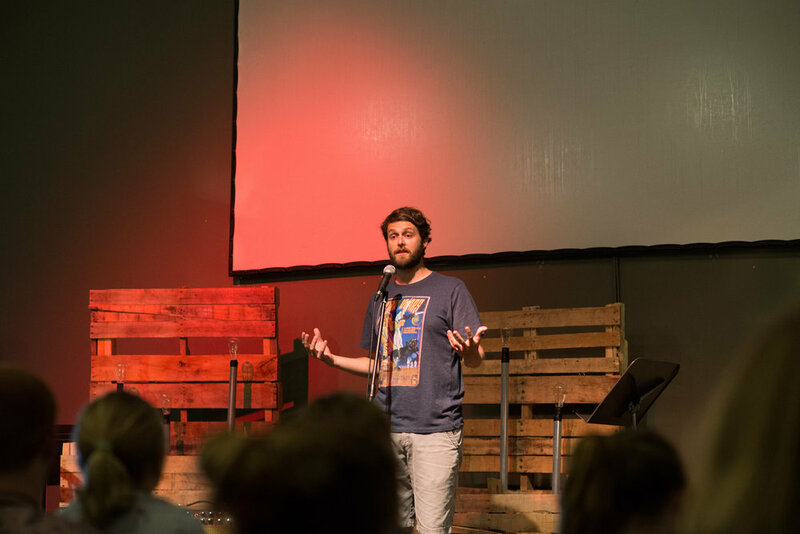 Derek Bargatze, SLAM manager and last week’s speaker, challenged youth that humility is a response that comes when one is faced with a challenge. In the midst of tests or trials, what will come out? Humility requires surrender and faith, and God watches to see how we respond! Making God proud by responding with humility in the midst of challenges became the name of the game for SLAM students as they were thrust into the challenges of helping people in need. As students engaged in challenging service opportunities, their eyes widened to the trials of others -- like being in a country where you can’t speak the language, or struggling to find a way to work, or being handicapped, or being unable to care for your own needs. 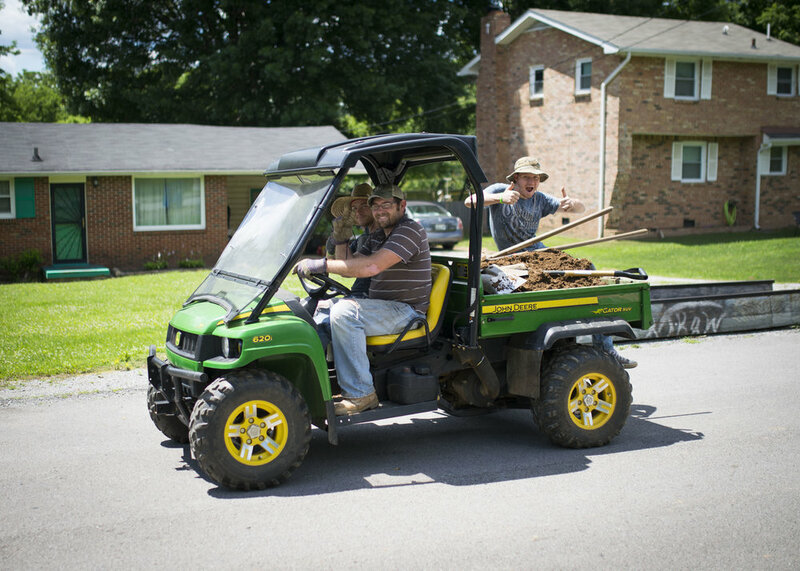 As students surveyed some immense need right here in Nashville, they realized what power and skills they already possessed to make a difference. The humble response is to do it. As one team pulled up to an apartment complex filled with immigrant and refugee families, they were warned that they would have to put some major effort into recruiting. The team gathered in prayer, asking for God’s help. (Surrender.) They went out, knocking on doors and letting families know that there would be a free camp for their kids (Faith.) They were grateful to God when more than 75 kids showed up the first day, and kept coming back all week long. Another group visited an older woman’s home who takes care of her 16-year-old daughter who suffers from cerebral palsy, helped only her mother. Students asked questions: “How can she be cared for by someone that needs cared for? Then the grandmother came, and she isn’t strong enough either. What can we do?” (Surrender.) They then got busy cleaning up the yard, realizing why it was in such disarray. (Faith.) The homeowner was in tears, saying how much they had helped, and that she had not known how to take care of it all, and worrying about the codes violations she recently was reported for. The youth groups took the projects seriously, proposing further ideas on how to bless those they served. One group wasn’t content that the mess was gone in the yard. They came back to plant a flower garden, knowing it could lift the spirits of this family who has to endure so much. Another highlight was watching families in service together. One father, a plumber, was able to immediately fix a water heater in a widow’s home, while his wife and daughters cleaned the home and cooked them a home cooked meal. Another father accompanied his daughter told us, “You all are amazing. 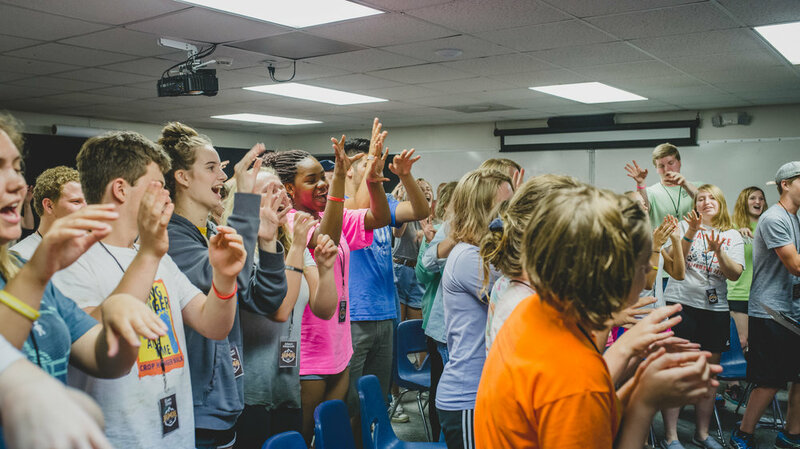 It’s not just that you’re investing into my daughter, you’re investing into so many kids, and getting them to see the Lord and to heal from so many things.” Another youth participant said that she experienced God’s presence during Bible Study for the first time -- something she had previously only felt while singing. She was motivated to spend more time learning God’s Word--that it wasn’t too hard or too complicated for her--but that God could meet her in it! As you can see, we’re happy to say that in the midst of our first "test" of SLAM this summer, we are very pleased with what came out of those involved. It is our privilege to host and facilitate and invest into young people as they learn about the needs that exist in our own cities and walk with God to do something about it. When we surrender that we can’t fix everything, but have faith that we can do what’s in front of us, with the energy and love he provides -- we’ll definitely have something to remember.